A few weeks ago we were invited to a barbecue at the house of some friends. I brought the dessert. The only dessert. 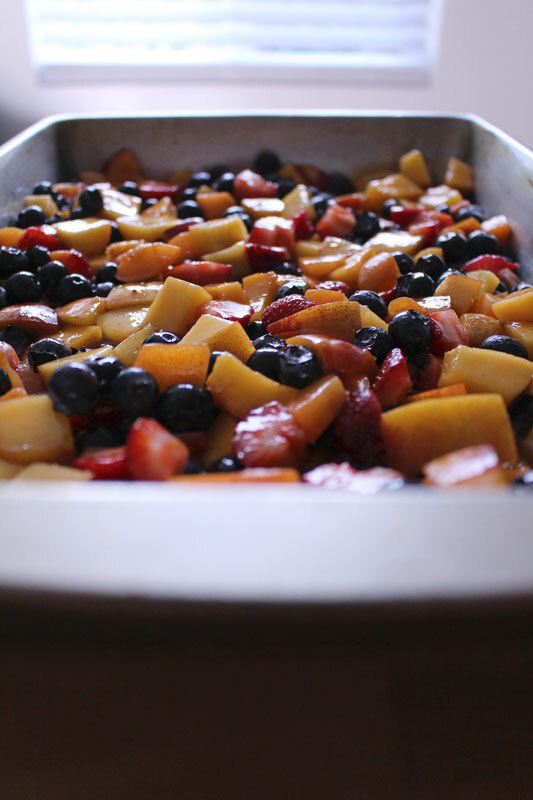 One of my favorite go-to desserts is fruit crisp. I like to make it because it’s easy and because my mom used to make it all the time when I was growing up, so I have a sentimental attachment to it. For this particular evening, I chose to make it because the friends who hosted are vegans. I wasn’t sure about trying to make a vegan cake. So I went with simple, and adapted my crisp to suit them. Their son, Theo, was not impressed. He was expecting dessert. To a three year old, dessert means cake. Sugars and juice are whisked together. Sweet sweet. But, it’s honey, maple syrup, and coconut palm sugar. No refined white sugar here. You can use white or brown sugar if you prefer. This is how I like it though. 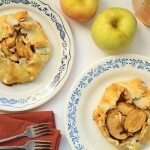 Super sweet and juicy, the fruit is tossed with the liquid and poured into a greased baking dish. 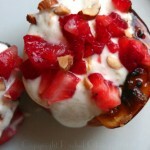 I opted for summer fruits, because that’s what’s in season. Aren’t the colors pretty? 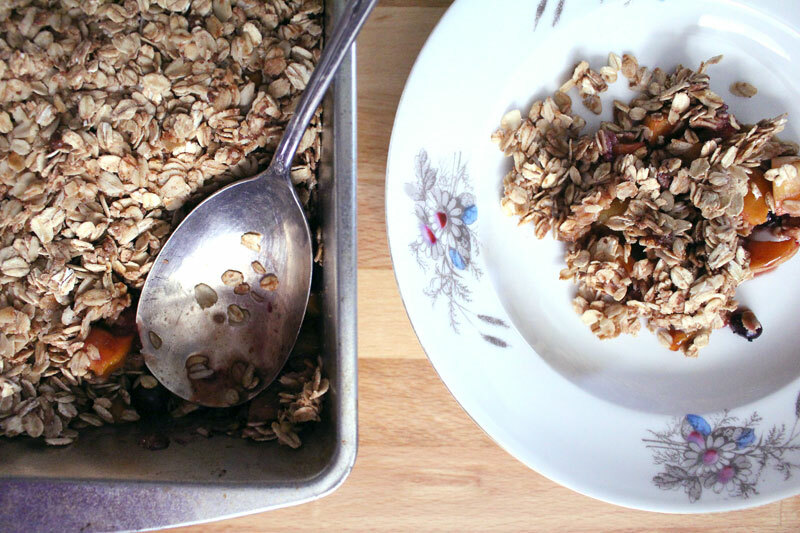 A slightly less sweet, oaty, crumbly mixture will top the fruit. 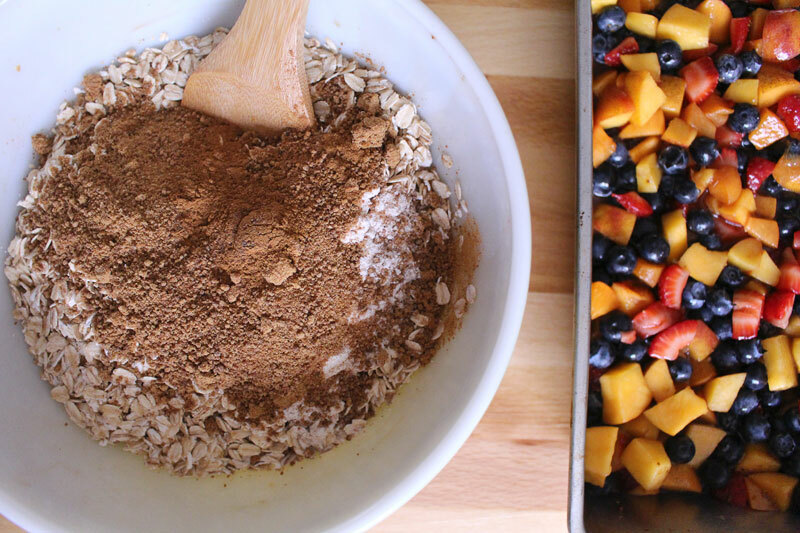 Oats for hearty goodness. 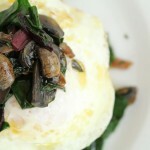 And to make this a perfectly acceptable next day breakfast. Invite your favorite people over, or bring this to a barbecue. Just be sure to remind them that it’s not cake. Perfect for any time of year, for vegans and non-vegans alike. 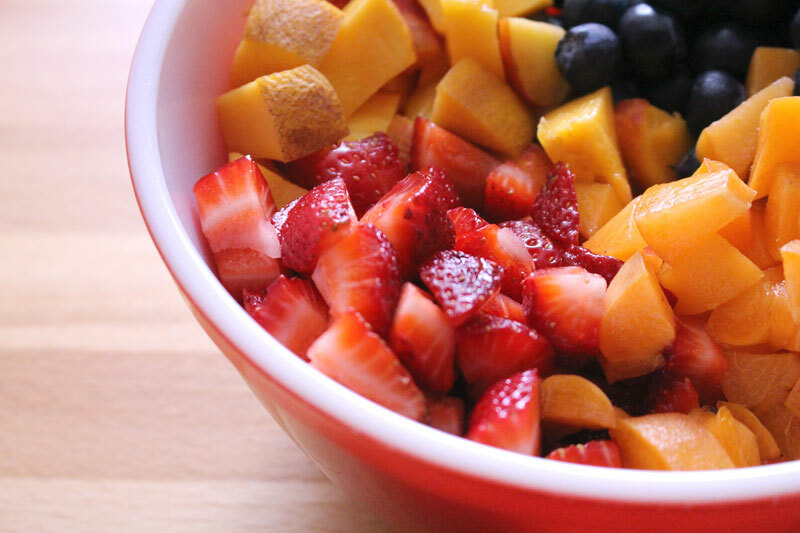 Combine fruit in a bowl. Whisk together cornstarch, vanilla, orange juice, salt, honey, coconut palm sugar, and maple syrup. Toss with fruit. 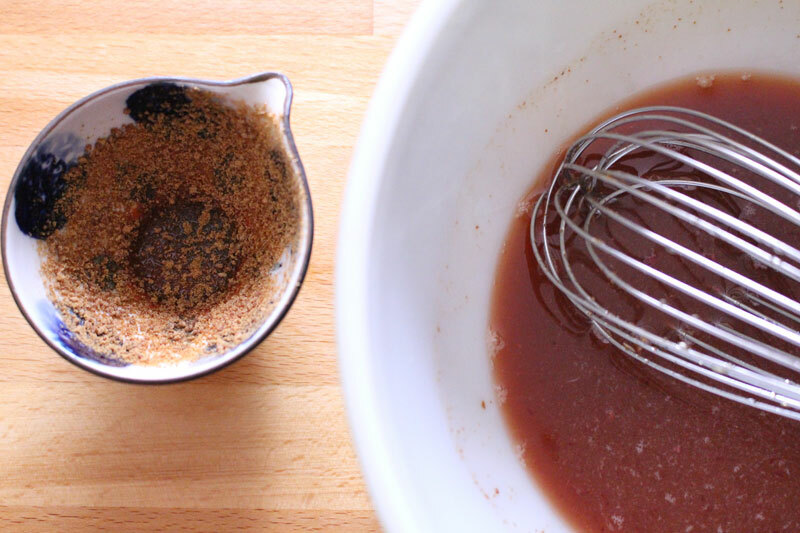 Combine oats, flour, coconut palm sugar, cinnamon, nutmeg, and allspice. Add maple syrup, oil, and honey. 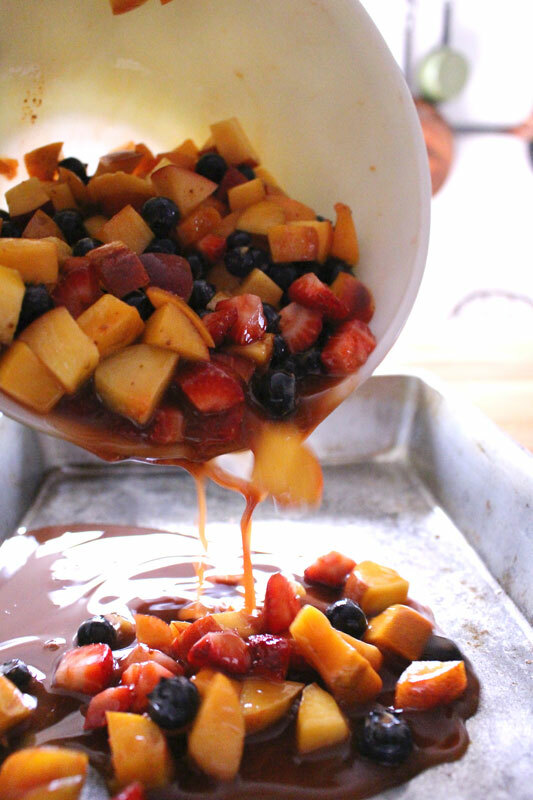 Pour fruit into a greased 9x13 baking dish. 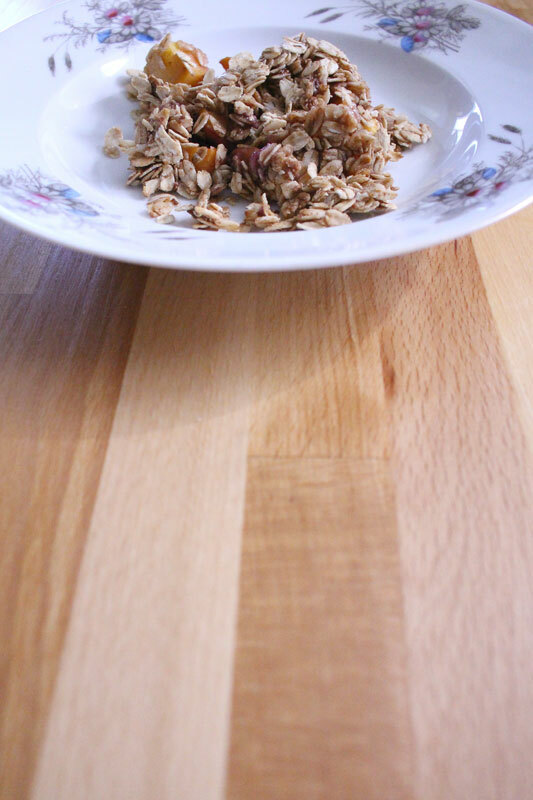 Top with oat mixture. Press down slightly with a spatula. Bake for about 45 minutes, or until bubbly and hot. Let stand for at least 10 minutes before serving - it's best just a little warmer than room temperature. If you'd prefer a non-vegan crisp, use butter instead of coconut oil. If you have vegan friends who don't eat honey, just use maple syrup. 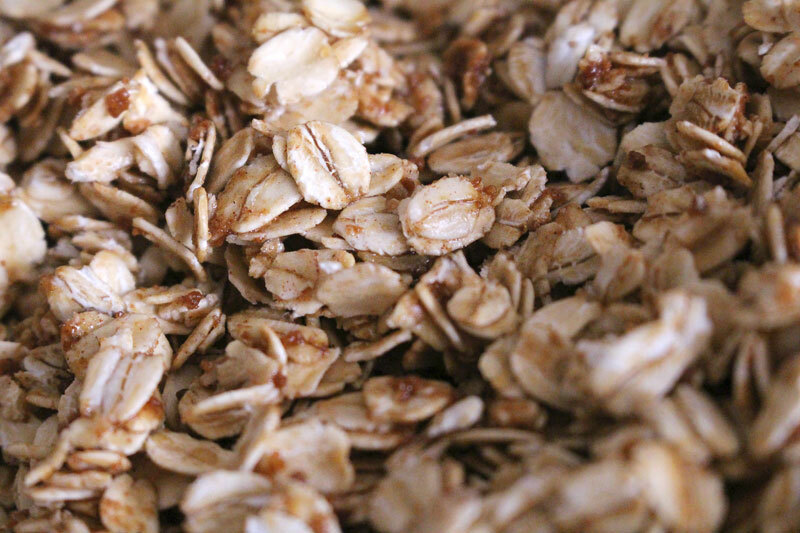 For gluten-free, use your favorite GF flour and oats.